More than perhaps any other genre, horror cinema is associated specifically with a collection of talented (and not so talented) film-makers who produce the films which call the genre home. The so-called “masters of horror,” or any other name that fits your fancy. When it comes to fear, dread, and a spine-tingling chill, there are a few names that come to mind: John Carpenter, Wes Craven, Dario Argento, Mario Bava, James Whale, Jacques Tourneur, David Cronenberg. The list goes on. There’s a purpose to positively valuating horror directors. The love they’ve been met with in recent years elevates their credibility and explores their film-making prowess in ways society was seldom willing to attempt in the past. It acknowledges them as “respectable” for their complete lack of respect for human decency and good taste, and for their proud existence in the muck and the gritty, decayed earth. And it carries horror cinema along with them. Yet, in the crossfire, something has been lost: the reality that the things which make horror cinema good are very often not dissimilar from what makes other genres good. At the end of the day, good-filmmaking calls the shots. And one does not need to limit oneself to horror to direct a good horror film – plenty of non-horror directors have tested the limits of the genre and explored (or subverted) their technique developed in other genres by bringing it to horror. To this extent, the instances of non-horror director horror films shouldn’t be forgotten, but neither should the more general reality that film-making is not genre specific, and many of the techniques which work well in other genres can breathe life into horror as well. Below is a list to this effect, a short exploration of twenty films which approximate horror but which are made to instill fright by directors whose primary works are far outside of the fear-inducing. Many are films well-known to the general public, some are more obscure, but all are sterling examples of fine film-making, something both pressingly genre-specific and pointedly genre-bridging. 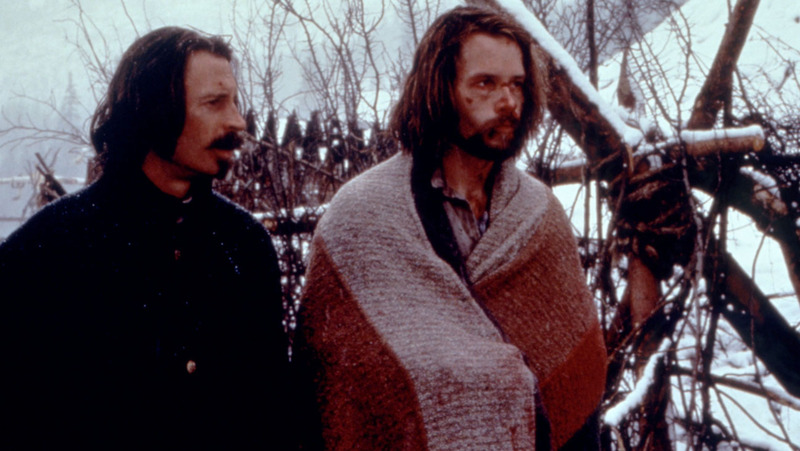 Ravenous’ greatest claim to fame would probably be how little of its budget it re-couped, except that seemingly no one has heard of the film to give it any claim to fame at all. Yet, the film’s strengths are multitudinous: it’s a snarky, gallows comedy, a self-reflexive analysis of American grandstanding imperialism and Manifest Destiny, a film which has the guts to straight-up commit to an exploration of cannibalism and to connect it to American masculinity, a mythic nightmare of a Western, and a plain ol’ down-and-dirty horror film that doesn’t faint at the sight of blood. Perhaps it was too confusing and cavalier in its reflection of genre to truly find an audience, and that’s a right shame. Few films are this loopily in love with film-making. It also boasts some of the best sound design of any film released in modern-times, with a score of pure anarchic noise as rivetingly thrilling as it is unnervingly decayed. Yes, Federico Fellini directed a horror film. It’s an adaptation of a Poe story, “Never Bet the Devil your Head”, which should put it in a long line of famous Poe adaptations. But it’s only 40 minutes long, and it happened to be packaged with two other short films in a mostly forgotten anthology work titled Spirits of the Dead. Fellini’s segment is the real deal though, a self-contained work of pure filmic splendor, a scathing indictment of the entertainment world, and above all a chillingly, thrillingly fake concrete slab of inventive film-making. The piece’s narrative, about an actor, Toby Dammit (Terrence Stamp), taking up a role in a film for no reason other than a brand spanking new Ferrari, is vintage Fellini, a blackly humorous 8 ½. And the film-making follows suit, with a camera that moves like a gust of wind and a sickly golden hue overriding every frame and rendering the entertainment world less interested in human soul than the shining metal its empty case is painted over with. We have piercing, hard zooms meant to thrash us about threatening to pierce the cinema itself sitting next to locations that look less like a world than a breathless gasp of angular sets, faces, and props. It’s a cinema from a hell of our own making, with a hazy fog marking the edges of life “on stage” and improperly guarding the way the stage slithers into the inner core of a human being and has its way with them. And at the center is a deliciously smarmy Terrence Stamp as pale as a ghost and walking like a corpse chasing after anything it can find, if only to keep from boredom. He’d rather be back in the grave, and maybe the Ferrari can take him there as fast as possible. When he drives away at the end, he gets his own stage and lightshow, with an audience of himself – even in escaping, he’s still part of the stage-bound circus of his own life, with a mad ringleader of a camera guiding the show. It plays like clinically detached poetry, a look into the trenches of the mind, a maelstrom of perturbed, directorial bravura – the perfect encapsulation of a stage-bound mind in decay. 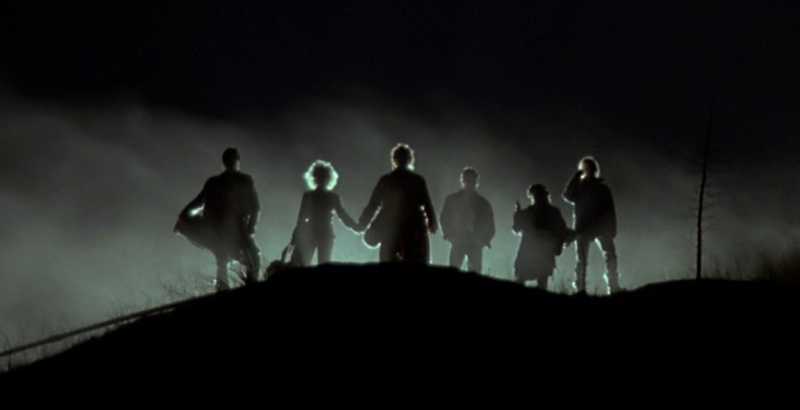 A shockingly underrated entry in the mid-80’s horror boom, Director Kathryn Bigelow’s Near Dark transcends genres by providing not only a freaky, unnerving horror film, but an evocative Western and a tragic tale of doomed family and love. This story of a family of vampires terrorizing the American West and their relationship with a human boy equally alone in the world also earns points for being a unique and refreshing take on the long worn-out vampire film genre. Near Dark is now A-list director Kathryn Bigelow’s first film, but her knack for choosing genre fare and emphasizing the tension, fear, subtle majesty, and philosophy underlying it is already apparent here. As she sees it, Near Dark is a film which occupies at once the surreal and the mundane. She infuses it with a sense of place, and makes it a location of subtle majesty, one whose secrets aren’t immediately revealed but which beg to be explored. In the film’s genre-crossing, it achieves a kind of sublime feel reserved for the special films. 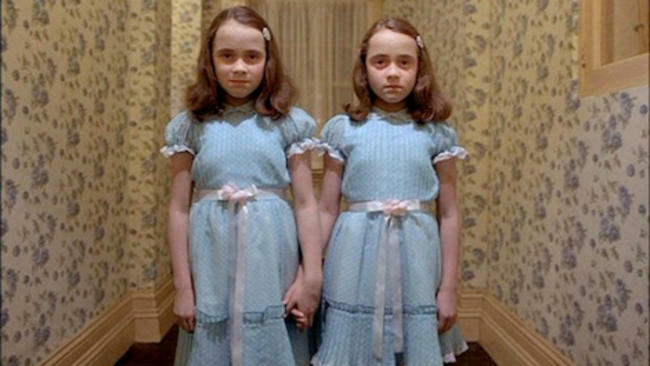 Horror films have often been about the “other” and accompanying difference and loneliness. The American Western meanwhile was a lonely place for those who didn’t fit in to “civilized” society. Both genres sought to free people from reality, while also forcing them to come to terms with it, by giving people an image of unreal-yet-real life, either an impression or expression. Near Dark is similar; it’s a dream, and it’s a nightmare, both of which simultaneously illuminate and disguise the all-too-real tragedy at its core. 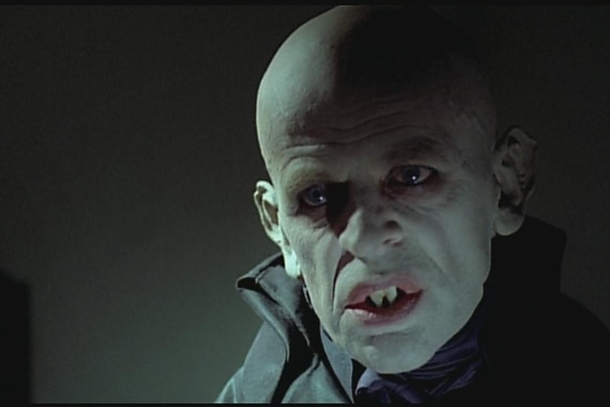 Werner Herzog’s Nosferatu, Phantom der Nacht begins with a nightmare, and it only gets worse from there. A re-reading of the classic 1922 Dracula story Nosferatu, Herzog not only enhances the film with his own cathartic and grandiose visual/aural sensibilities, but he re-reads the title character. Herzog will make a film about anything, but he’s drawn toward obsession like a moth to flame. And in his most horrific film, he also essays the conventional villain as his most sympathetic character ever. Here, the vampire (Klaus Kinski, in one of his most deluded-committed performances in a career full of them) is haunted by obsession, but it’s an empathetic one: an obsession over life, and belonging to a society his curse has left him stranded from. Many claim this as Herzog’s first “genre” film. Nevertheless, it bears an unmistakable linkage in tone and style to many of his other works, most notably 1972’s bruised beauty tone-poem exploration of man’s hubris undone: Aguirre, The Wrath of God. Nosferatu, like Aguirre, is an otherworldly moan in the darkness. It opens with quavering images of wretched corpses, and even before we’ve met the blood-sucker himself we’ve been given an interpretation of him through the twisted, cavernous, gaited passes of the mountains he calls home (Herzog characteristically focuses on the ethereal nature of the land, giving us haunted poetry as he uses optimistic classical music for a decidedly more sinister purpose). As for the vamp himself, he’s a demented wonder, radiating a ghostly blue hue. When we first meet him, as he treats would-be hero Jonathan Harker (Bruno Ganz) to a meal and watches in anxious contemplation, we see his human and animal sides, and the painful intersection of the two, all shrouded in blackness of the most pure variety. Nevertheless this is not an evil that is menacing or devilish, but a lonely figure longing for death or life and stuck in between. He doesn’t crave – he’s bored. Herzog shows no mercy – he retains the film’s decrepit crawl of a pace. He refuses to move on, to give us freedom. Here, though, Herzog is the real vampire – he has us in his grasp and doesn’t want to let go. In that sense, more than anything else, he’s a true director, perhaps the truest working today. Michael Powell’s earlier films Black Narcissus, A Matter of Life and Death, and The Red Shoes all deal with various aspects of obsessive compulsion. But while those films often married despair to cheery Disnified impressionist color schemes, Peeping Tom flips them on their ear and gives us a corpse-like green malaise for the ages. 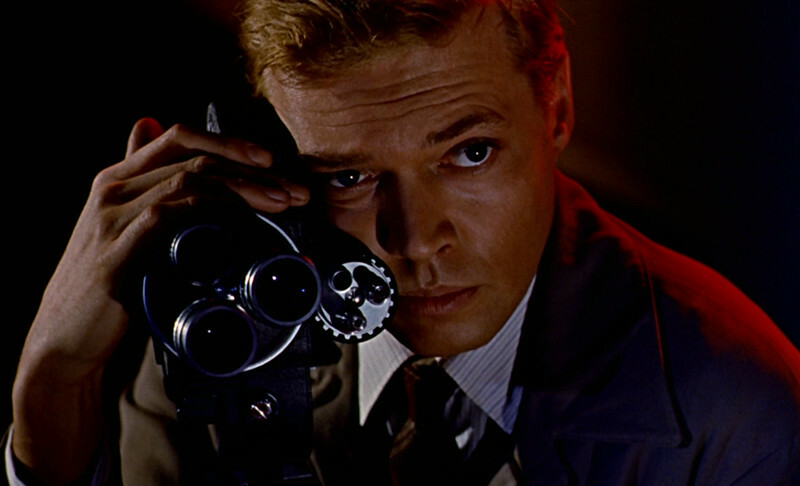 While his other films play out like a smorgasbord of colors capturing inward, abstract conflict and rendering them on physical environments, Peeping Tom often saps color out of the film for a harsh, monstrous look that occasionally borders on theatrical expressionism. This is not a haze, nor a lurid dream, but a nightmare. And like many directors, Powell clearly saw himself at the center of his nightmares. The film’s narrative centers a man, Mark Lewis (Carl Boehm), who turns to filming his own murderous activity to recapture the success his psychologist father found for filming his own experiments-in-fear, for which Lewis as a child had served as his chief subject. Powell directly implicates us in Lewis’ actions, depicting the murders from the first-person perspective through Lewis’ camera. His day-job as a film assistant, where a brutal director oppressively coerces false fear out of an actress, also begs a scarier question: if cinema-goers crave “realism”, where will power hungry directors stop at achieving success? Martin Scorsese once said that everything we needed to know about directing is found in 8 ½ and Peeping Tom. The former is the more conflicted-joyous side of the cinematic experience (and if your film makes a Fellini work seem joyous by comparison, well that’s an achievement indeed). Peeping Tom is the pure horror of it, a dissection of the abusive, soul-deadening cinematic underbelly of viewership and authorship. Yet, like with one-time director Charles Laughton (who gave us Night of the Hunter, only one of the most hell-bent, chillingly expressionist fire-and-brimstone fables of pure childhood nightmare-logic rendered as a Southern Gothic myth ever made), the film was too radical and too subversive. It destroyed the myth of the humane director, and took Powell down with it. 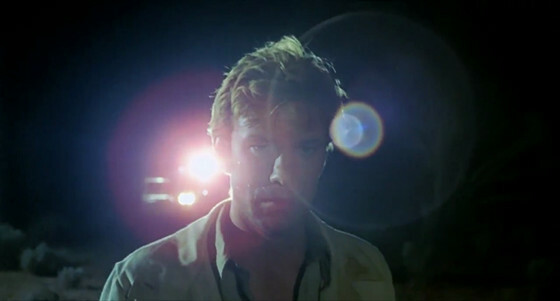 The story of a rural schoolteacher stranded in the desolate hellscape of “The Yabba” deep in an enigma known as Outback Australia and his encounter with the dark side of masculine anarchy, Wake in Fright’s blinding shriek into the harsh daylight is matched only by its impenetrable howl into the night. Mostly known today for being Australia’s great once-lost film, it also made the rounds for its open-faced depiction of male violence. Mid-way through Wake in Fright, the film’s mass of outsized, chaotically empty male figures who’ve chosen to live life in the Outback for its supposed freedom take to hunting kangaroos for sport. Famously, director Ted Kotcheff, who would study masculinity to lesser effect in the 80’s, did not want to sacrifice the nightmare of hyper-realism and tagged along with a group of men who routinely spent nights doing the activity for real (telling them not to “do anything different than normal”). The scene is harrowing, and its lynchpin, when smarmy main character John runs out to get one of his kills and is told not to bother retrieving it, reveals like a piercing wound how the potential use of the animal matters not to them – the sport is for pure fun, and pure power play. Taking place over a weekend, the film deals in laughs that border on goblin-squeals. It’s a chilling final gasp of life on the edge, a dissection of pure hopelessness. And its coup de grace is how it indicts John as well, seeing his put-upon moral superiority as a passive force that allows him only to judge the residents of the Yabba in his own mind. When the society he wants to call home crashes down before him, it also allows him an easy excuse to instantly turn to their side and succumb to their actions. His civilization is a superficial lie, torn down in moments despite his steadfast uprightness – he is as The Yabba is, but he’s pretending not to be.